The temporary timetable is currently in place on Lymington to Yarmouth for the linkspan maintenance. Has anyone managed to get a photo of this St Anton thing as I'm still at a slight loss as to what it looks like?! Plenty of them stay and wander around Plymouth. In spite of the distance, lots go to the Eden Project too. Talking to a friend who works at BF, apparently 9009 bookings have had to be altered as a result of Honfleur being delayed. They also said that, despite customers not being able to book the different grades of cabin that are on Honfleur compared to Normandie, and Normandie compared to Etretat, the computer booking system they have cannot just transfer all the bookings from the Honfleur cabin allocation to the Normandie cabin allocation, so they are having to rebook/allocate all 9009 bookings on their system by hand! This question stems from a point Gareth made in the Honfleur topic that I think warrants its own discussion - apologies if the following has already been talked about elsewhere. 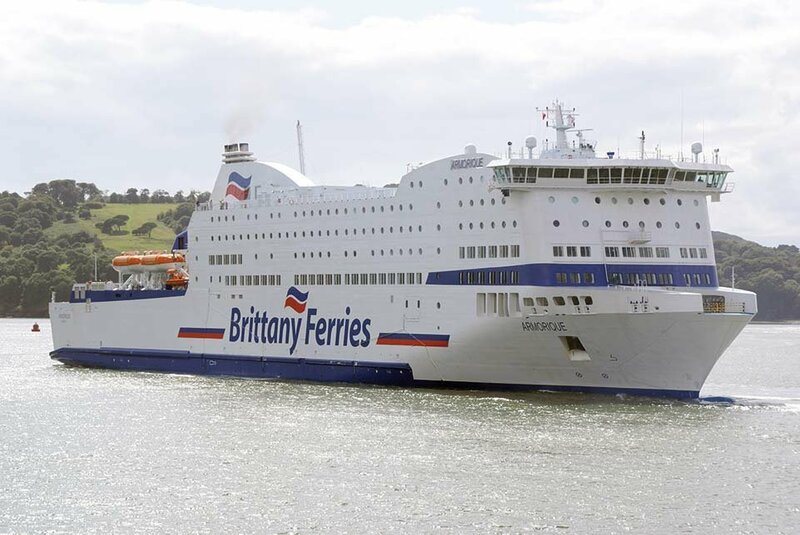 Of the ships that Brittany Ferries uses on double deck loading routes (Barfleur, Normandie, Mont St Michel and the prospective Honfleur), did Brittany Ferries specify when they were built to have an internal ramp (like that of Armorique) between decks so that they could potentially be used on single deck loading routes? Gareth said that Normandie has one that isn't suitable for regular use, but what about the rest? I stress (as I know that many like to read far too much into things on this forum) that I'm not implying that the ships are going to be used elsewhere or sold, and I do understand that the ships were specifically designed for their routes using double deck loading, but I'm just wondering whether BF desired the extra flexibility? And if these double deck loading ships do have an internal ramp, have they ever been used (even for a single trip) on a single deck loading route?